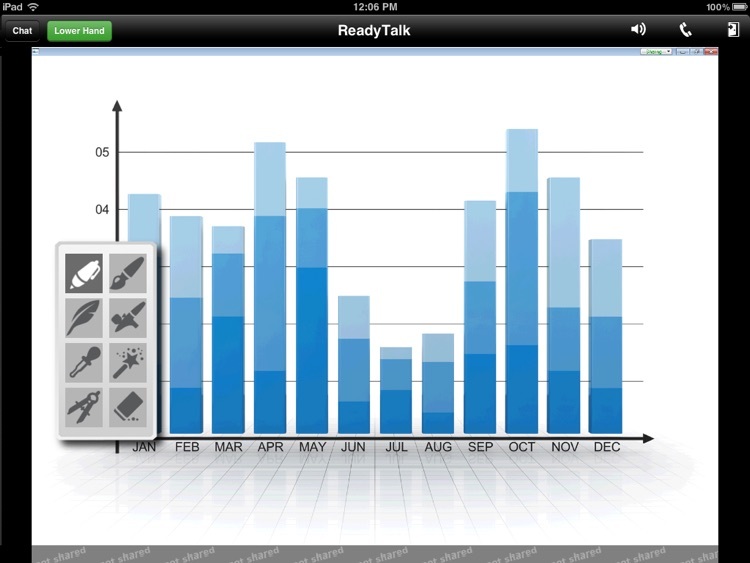 Download ReadyTalk Mobile for free and join ReadyTalk meetings in seconds using your iPad. 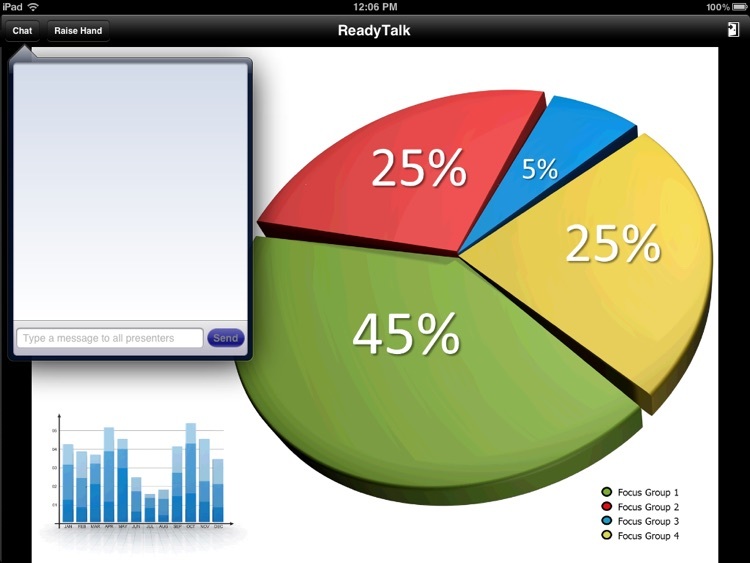 ReadyTalk Mobile for iPad lets you quickly and easily participate in an online meeting, webinar or training session over WiFi or 3G. 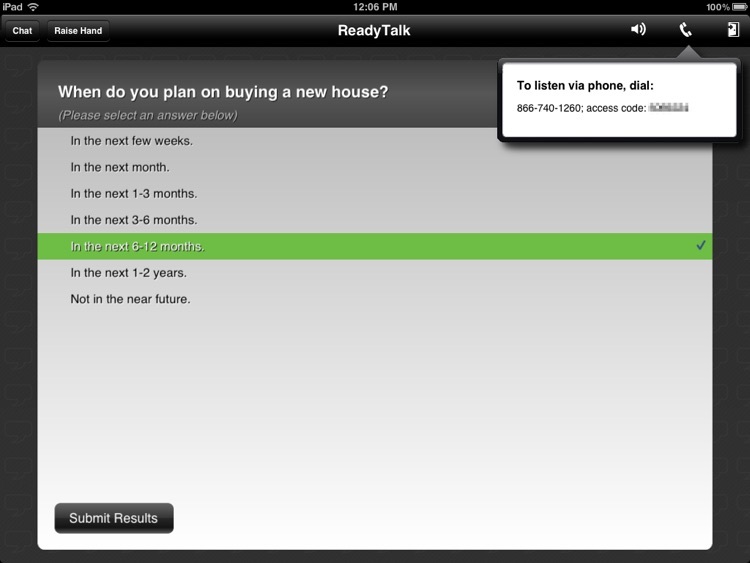 View shared content, chat with the presenter, respond to polls and listen to webinar audio* using your iPad. 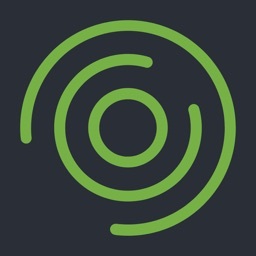 - Attend an online meeting, webinar or training session on the go at no cost to you. 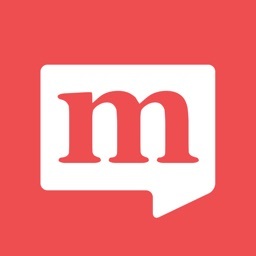 - Join meetings quickly by email invitation or entering the host's access code. - View everything the presenter shares, including slides, applications, annotations and video clips. - Interact with the presenter via live text chat. - Respond to poll questions and view real-time results. 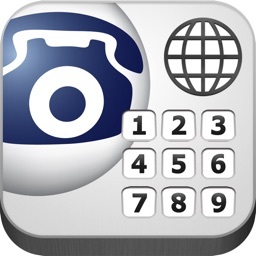 - Listen to integrated one-way audio* on your iPad or join via phone. - Pinch-to-zoom for a closer look at your presenter's content. - Swap between portrait and landscape screen orientation. 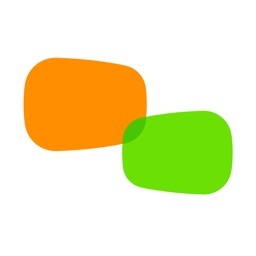 - Multi-task without missing a beat with notification alerts. - Tap the link in the invitation email from the meeting host. 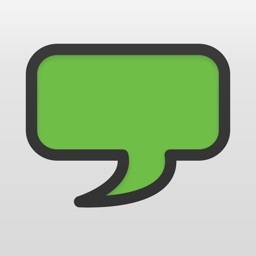 - Tap the ReadyTalk icon on your iPad and enter the access code provided by the host. If you do not hear audio, dial-in with your phone and enter the access code provided by the host. 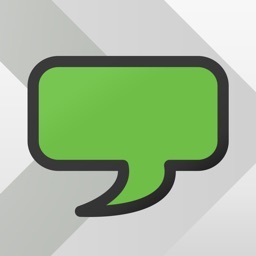 Participating in a ReadyTalk conference using ReadyTalk Mobile for iPad is free and requires an iPad using iOS 4.3 or higher on an active WiFi or 3G connection. *Note that one-way audio availability is determined by the meeting host and may not be offered for every ReadyTalk meeting. If you do not hear audio, please dial-in to the audio portion of the call using your telephone. 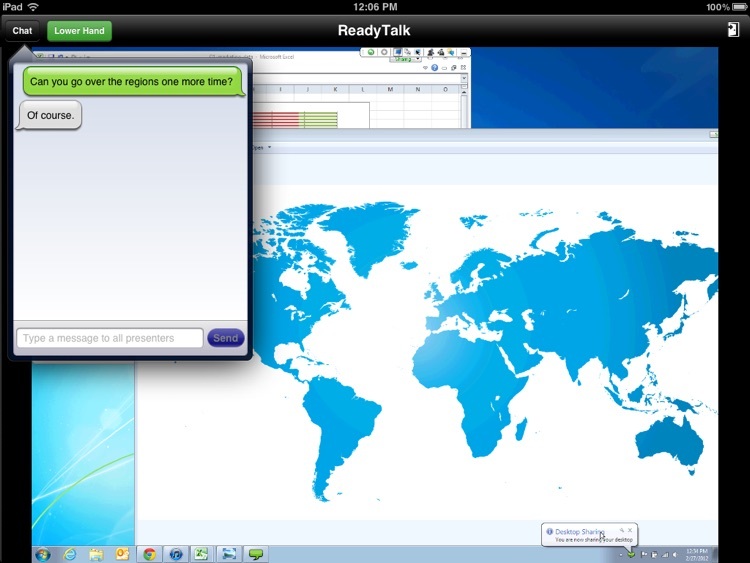 Hosting a ReadyTalk meeting requires an active ReadyTalk subscription and the meeting must be started and managed on a PC, Mac or Linux machine.